Ditch the commercial medicine and go natural! Going down with a cold and flu is never pleasant. You always have to constantly cough up because you want to find remedy from the itchy, irritating throat. Usually, people rely on OTC medications from their local pharmacies just to get immediate relief. But a cold and flu remedy doesn’t always need to be in the form of pharmaceuticals – you can make one at home, and all you need are ingredients lying around your kitchen. 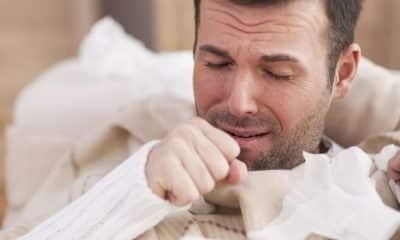 In this video from DaveHax, you’ll learn how to make your very own cough sweets – all natural remedy which contains the simplest ingredients you can find at home. Honey is one of the ingredients of the cough sweets; this ingredient has been used for many years as a remedy for cough and sore throat. A study done in 2007 has found that honey is even far more effective as a sore throat remedy compared to OTC cough suppressants. It has also excellent antibiotic properties, which is why a lot of moms swear by it. Lemon is also a great ingredient to help soothe colds and flu. The citrus fruit also goes great with honey; in fact, they are usually used together with warm water. Lemon is rich in vitamin C, which helps strengthen the immune system. Ginger has also been long used as a cough remedy. Ginger is said to contain oleoresin, which acts as a cough suppressant. It also helps strengthen the immune system, just like lemon. The cough sweets also contain ground cloves, which are said to help ease the pain that comes with sore throat. Together, these ingredients will make for an effective all-natural cough remedy. Why waste your time and money buying from the drugstores when you can make some for yourself. It’s easy and it’s also fun to make. Check out the video below for the steps on how to make your very own cough sweets to carry around. This Belt-Fed Shotgun is Beautiful Yet Terrifying! This old video from 7 years ago recently resurfaced on the web after it made rounds on various websites and on social media. Uploaded on YouTube by Derek Miller on February 19, 2009, the footage has been getting a lot of buzz lately as it shows the features of an impressively terrifying belt-fed shotgun. If you're one of the hordes who watch The Walking Dead, you probably have an idea how the world will end up in the event of a zombie apocalypse. Aside from developing the stomach to obliterate zombies (with chunks of flesh splattering everywhere and all that), a person must be armed with primitive skills if he's to thrive in a post-apocalyptic world. We're talking about stuff like making a bow and arrow from scratch which you can use to kill zombies. Because you know, not everyone is armed with his own badass crossbow like Daryl Dixon. Making your own weapon is actually very doable using things you can find in the woods. They spent more than two decades building this spectacular island, and it’s not finished yet! More than two decades ago, Wayne Adams and Catherine King decided to pack their bags, leave the city, and live their dreams. The couple, who are both artists, wanted to build their home on their own a remote island completely surrounded by nature.